Buffalo pasture-raised on prairie grasses, with no antibiotics or hormones, by ranchers dedicated to providing a humane environment with minimal human interaction. Properly called bison, this meat is exquisitely tender, juicy and lean, with a deeper and sweeter flavor than beef, and more health benefits. For basic cooking instructions, Download our Buffalo Cooking Guide. Buffalo meat is quite lean –leaner than beef, pork, turkey and even chicken—and never leaves a greasy taste in the mouth. This leanness allows it to cook quicker than beef, and not shrink while cooking. The meat of the American bison has between 15 and 30% more protein and 25% less cholesterol than beef. 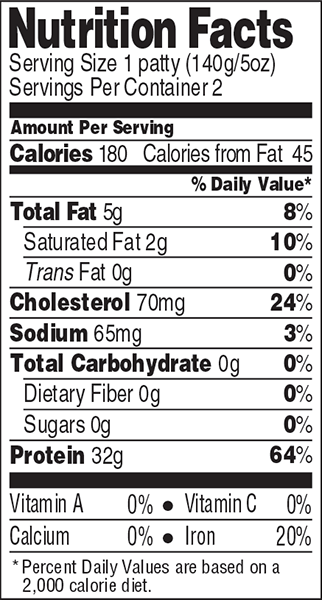 In a 3 ½ –ounce serving of buffalo sirloin, there are only 3 grams of fat (compared with 14 grams in beef sirloin), and about half the calories (120 versus 210). Keep in mind that buffalo is leaner than beef, and requires lower cooking temperatures. 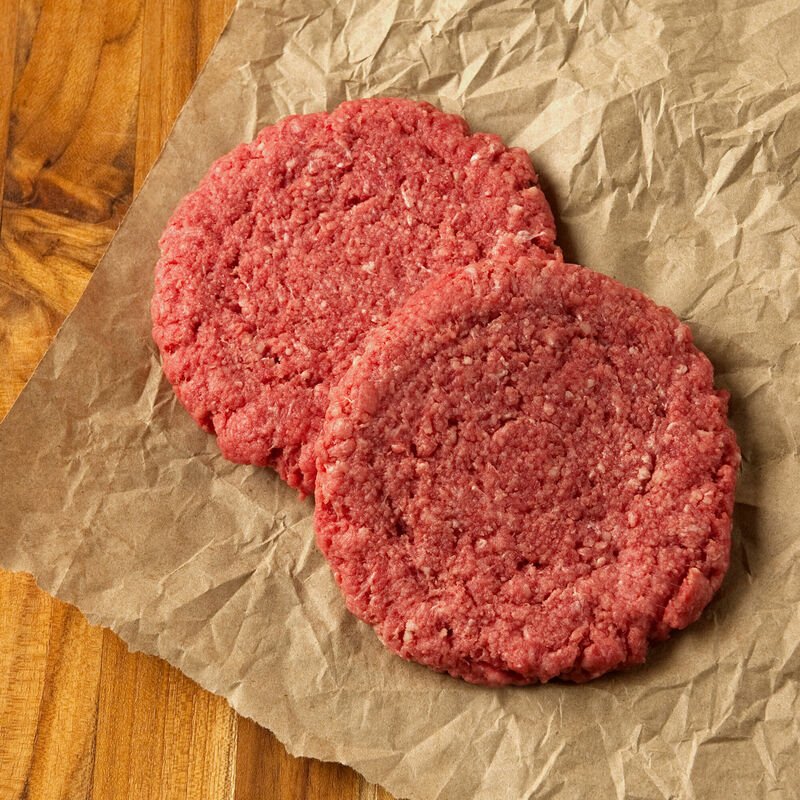 Cook buffalo burgers rare to medium rare and coat them with a thin layer of oil before placing them on the cooler part of the grill. These indigenous animals, technically bison (though we use the more common name buffalo), are raised on vast pastures in Canada and the U.S. to our exacting specifications on a 100% vegetarian diet, in a clean, natural and humane environment. The Plains Breed Buffalo are left alone to graze on prairie grasses as they have done for many centuries, with minimal human interaction, and their grass-based diet is supplemented with grain and hay. A state-of-the-art integrated system of corrals, funneled walkways and chutes are designed to provide the ultimate in safe, humane movement of buffalo on and off the ranches. The buffalo are brought to market at 22-26 months of age.